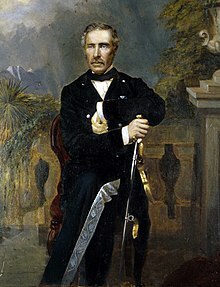 Explorer, Governor of South Australia, Governor of New Zealand (twice), Governor of Cape Colony and Premier of New Zealand. George Henderson (1907), Sir George Grey: pioneer of empire in southern lands. James Milne (1911), The romance of a pro-consul, being the personal life and memoirs of the Right Hon. Sir George Grey, K.C.B. "Grey, George (1812-1898)," in Dictionary of National Biography Supplement, London: Smith, Elder, & Co., (1901) in 3 vols. This page was last edited on 6 June 2018, at 10:15.